You’re looking at my Ben Hogan Ft. Worth Black irons review, but the Ft. Worth White irons have just been released. They are the same as the Blacks in every way but one. I think you’ll be able to figure that one out! The Ft. WorthBlacks have been out since the beginning of 2018 and I’ve been itching to get my hands on them for my official review. And now, the Ft. Worth White Irons join the party. 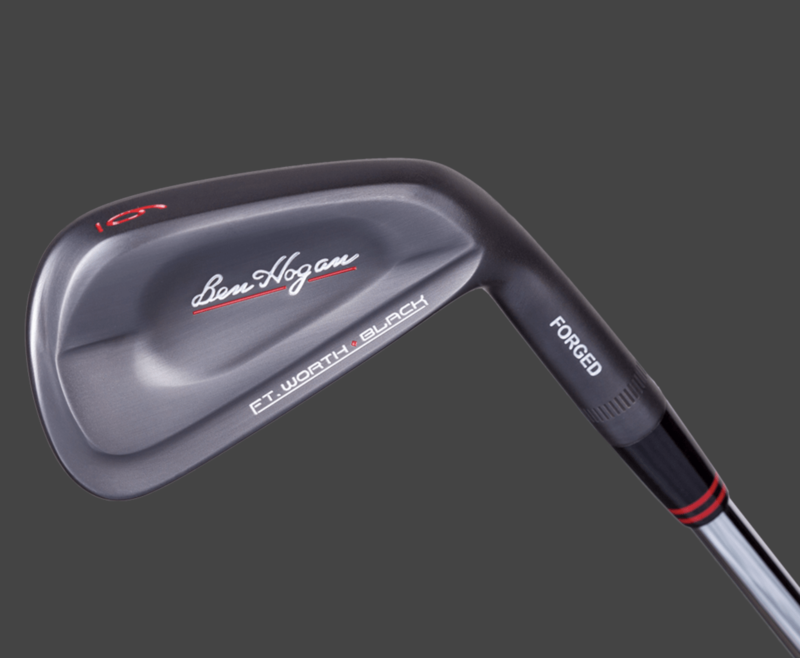 The Blacks are the “flagship” irons for the Hogan Golf brand now and, along with the Whites, are the Updated version of the original Ft. Worth 15 irons introduced in 2015. 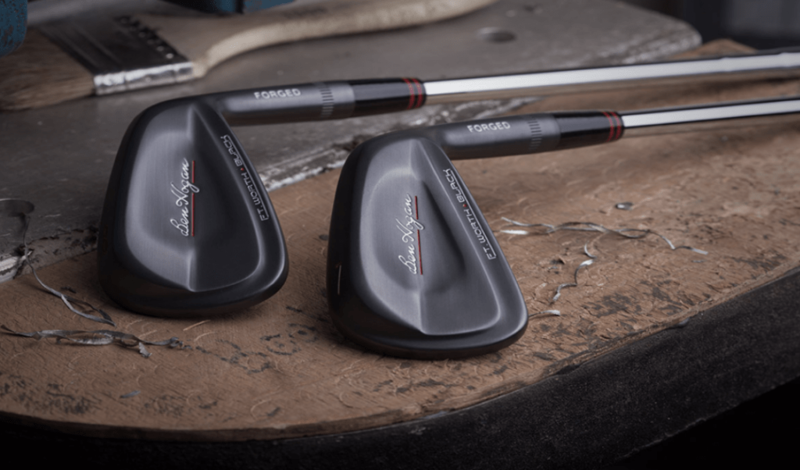 They’ve taken 3-years of feedback from customers along with advances from extensive testing to improve on the already impressive first iteration of the new generation of Hogan blades. My method of testing: I’m usually hitting 2 buckets or 100 balls or so during my range sessions. I try to adhere to 3 shots with the Blacks and 3 shots with the Edge irons and mix in my own wedge and 7 iron every now and again. I feel this give me the best chance to compare apples to apples. What Surprised Me: Distance. The blacks are long. Shot for shot, the pitching wedge and the 7-iron from the Blacks, Edge irons, and my Callaways went the same distance and looked the same doing it. Solid contact with the pitching wedge from each set is not an issue and the trajectory and distance look identical for with the Blacks, my Callaways, and the Edge irons. The Black 7-iron takes a little more discipline for me to hit well, but marginal shots aren’t punished nearly as much as I thought they would be. When struck well, the Black 7 goes as high and far as the other two in the test. What Didn’t’ Surprise Me: Blade irons are a little harder to hit and more intimidating at address…but, not that much more with the Ft. Worth Blacks. Distance: Long…as long as any irons I’ve tested. Trajectory: Strike them well, and these clubs sore. The wedge gets up as easily as any I’ve seen, which you’d expect. 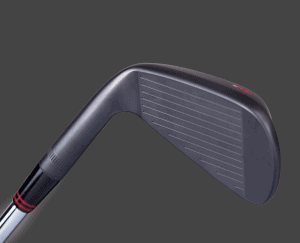 The 7-iron takes a touch more precision but hit it well and it sings. Shape: You can carve these any way you like. This is why you buy blades. Forgiveness: More than you expect from a blade, but let’s not get carried away…You do have to be more precise with your contact to get full distance and trajectory. That being said, I wouldn’t say they really punish marginal contact. Low Handicap: No brainer if you’re ball striking is a single digit or a 10-handicap. Again, I know dudes who are no better than me and play and love blades. It always comes down to personal preference. 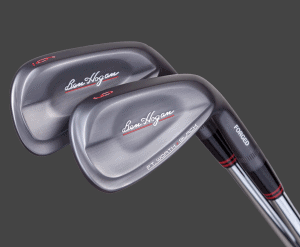 Mid Handicap: I would lean more toward the Edge irons if you want to stay in the Hogan family. Though…I have seen reviews from mid handicaps who love them. Best of all, you can just go through their demo program (AS LONG AS THEY HAVE IRONS IN STOCK FOR DEMO), as I did. 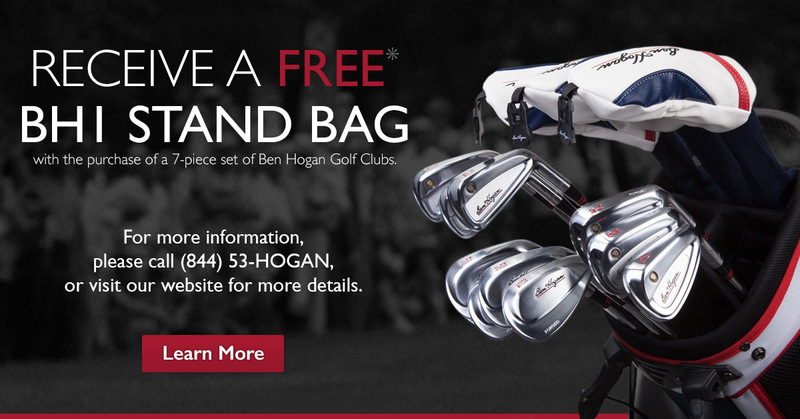 They ship the demo clubs to you within 3 days and provide a shipping label for easy returns. In addition to looking AWESOME, the new black finish is supposed to actually perform a couple very important functions. 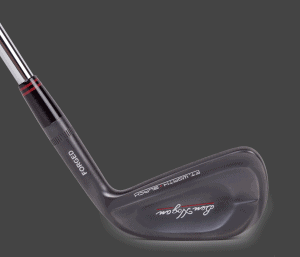 Most obviously, having a black gunmetal-like finish on a club helps reduce glare when playing on bright sunny days. My Cleveland 588 wedge “had” the same finish. The face didn’t stay that way for very long. The contrast of color between the black clubface of the Ft. Worth Blacks and the ball actually helps players frame the ball better and increases the accuracy of their shots- reportedly. 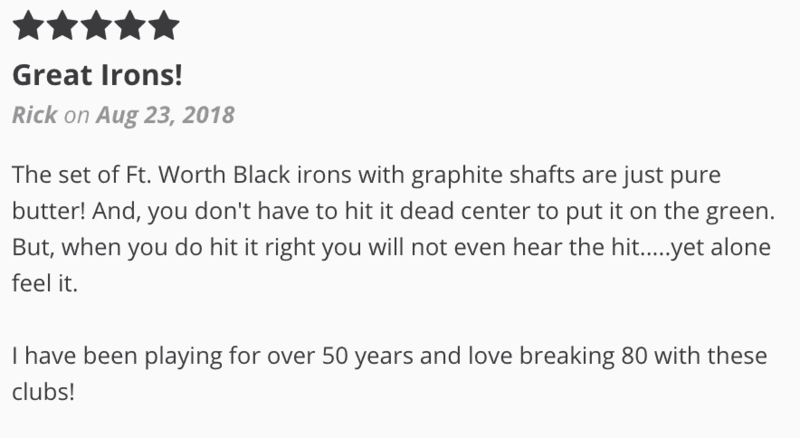 Secondly, and maybe even more importantly, the Diamond Black Metal finish protects the clubhead and clubface up to 7-times better than the original nickel-chrome finish on the original Ft. worths. 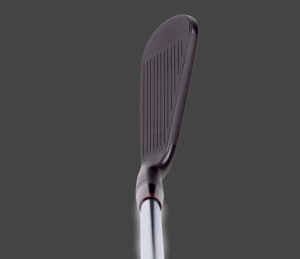 This results in the grooves staying sharper longer and also reduces nicks and scrapes from clubs banging into each other in your bag or hitting rocks and pebbles and such during play. As a result, you have extended the effective playing life of your clubs. The Dynamic Progressive Weighting System is dialed in even further in the Blacks to create even more precise trajectories. Long irons achieve a higher trajectory to hold greens and short irons have a lower trajectory for increased accuracy. The long irons are just a bit larger than the original Ft. Worth 15’s for added forgiveness and a little weight has been moved to the center of the clubface on the shorter irons for a more solid feel. 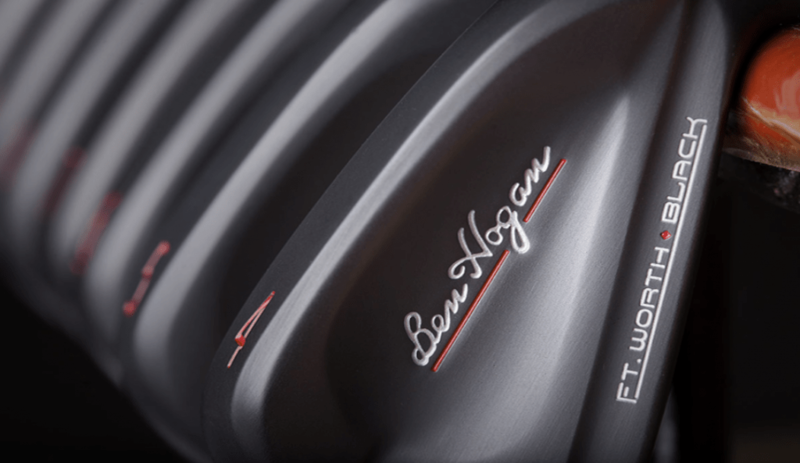 The Precision Loft System Hogan introduced back in 2015 has been simplified in this new model. 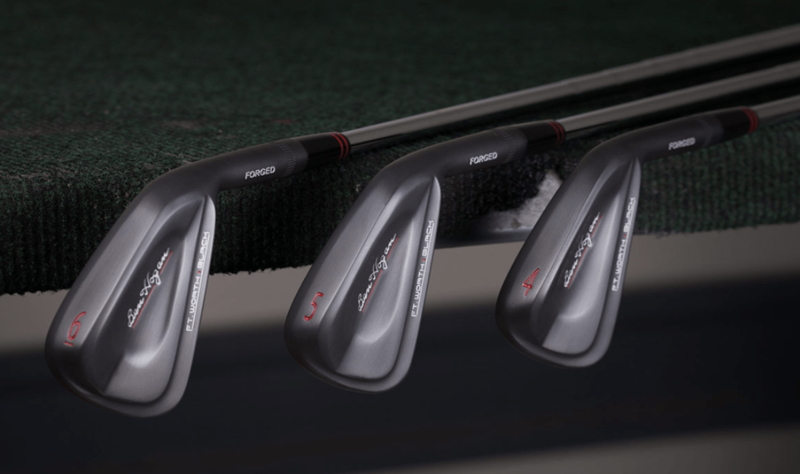 They found that the vast majority of purchasers of their irons prefer the “mid-high” launch option, so that will be the only option for the new Blacks and thus are stamped with traditional numbers on their irons. No more actual lofts will be appearing. What remains is the exact 4* difference between lofts. By comparison, a typical competitor will have lofts varying from 2.5* to 5* from club to club. Pricing for the Ft. Worth Black and the White Irons is $735 for a 7-piece set with steel or graphite shafts. 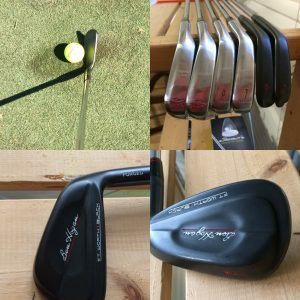 Thanks for taking a look at my Ben Hogan Ft. Worth Black Irons Review! I’m suitably impressed and I would love to hear what you think.